Amanda is our new, amazing, friendly receptionist. She joined our team after 4 years of us getting on without a full time receptionist. She has held various positions in different industries over the last 18 years with a consistent and strong focus on the client experience and helping them feel empowered by their choices. 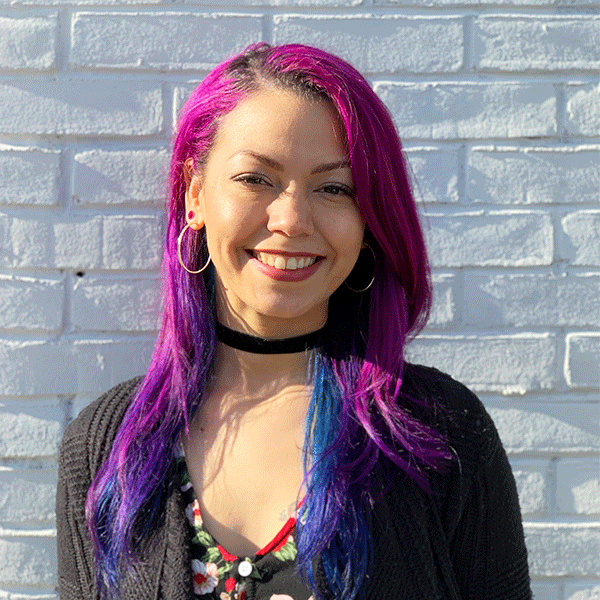 She has always had an interest in beauty and self-care and her pink and fuchsia infused hair fits right in with our eclectic staff. When she’s not working, she’s into hanging with her cat (or any fur baby), burlesque shows, music concerts/festivals, or trying new places to eat. We are so excited to have her with us and are grateful for the ease that having her with us has brought management.